The most convenient way to explore Dubai! Get amazing photos of the panoramic views of the world’s tallest buildings! 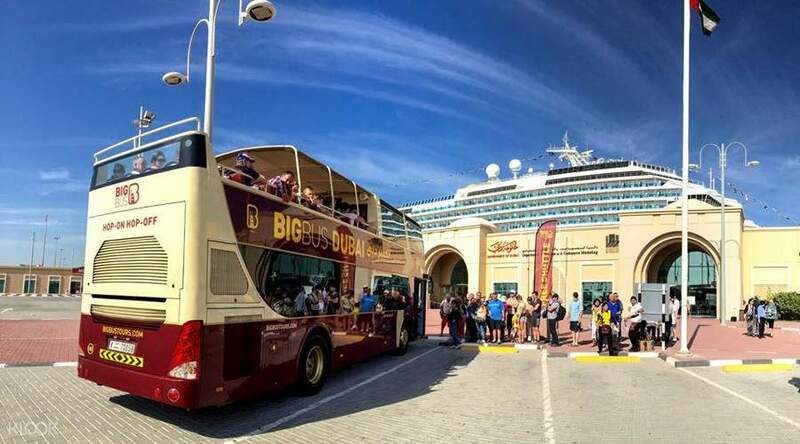 Enjoy the best way to get introduced to the sights and sounds of Dubai with Big Bus Tours. 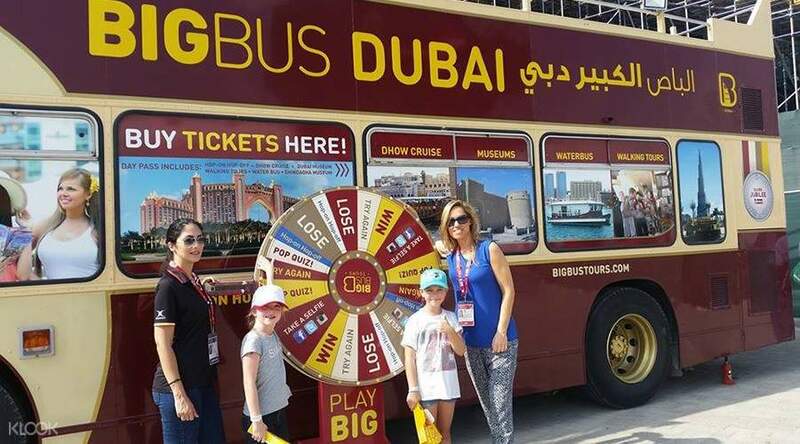 Hop on and hop off as much as you like and explore over 35 amazing sightseeing spots your own pace with your Big Bus Dubai sightseeing ticket. Get to visit iconic wonders such as the Burj Khalifa and feel free to explore and find your own way – just hop on again to the next bus when you're ready to go! There are 3 carefully designed sightseeing Tour Routes, each with varied sights! You'll see Wafi and the Heritage Village on our City Tour (Red Route). 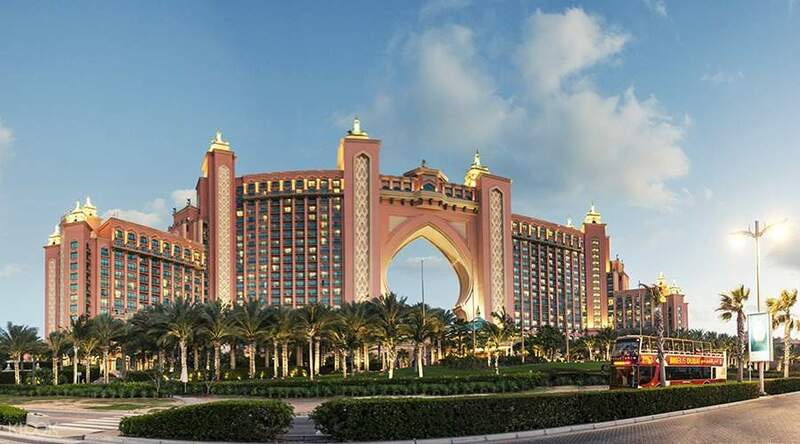 Marvel at the Burj al Arab and Atlantis The Palm on our Beach Tour (Green Route). And no traveler should miss the chance to see the Marina and Souk Madinat on our Marina Tour (Blue Route). Catch all the best sights of Dubai! Hop off any stop and explore the area - when you're ready, just hop back on the next bus! This was a great way to see the major landmarks and areas in Dubai. The buses were almost always on time. Seats were aplenty and the the audio commentary helped a little with not too much overwhelming information. We took all bus routes and managed to see the Marina area, Palm Jumeirah and Old Dubai. The main meeting point was at Dubai Mall which was convenient for most of us. It was nice that we were given a compliment boat ride in the creek and the marina area which my kids enjoyed tremendously. We upgraded a little more to add an additional day (this was done when we rode the bus on the first day) for 20 AED and we figured it would give us more time to take more in. Worth it in my opinion as we needed to return to the Souks. *i noticed they didn’t give out water as mentioned but I did not approach them for it as well. This was a great way to see the major landmarks and areas in Dubai. The buses were almost always on time. Seats were aplenty and the the audio commentary helped a little with not too much overwhelming information. We took all bus routes and managed to see the Marina area, Palm Jumeirah and Old Dubai. The main meeting point was at Dubai Mall which was convenient for most of us. It was nice that we were given a compliment boat ride in the creek and the marina area which my kids enjoyed tremendously. We upgraded a little more to add an additional day (this was done when we rode the bus on the first day) for 20 AED and we figured it would give us more time to take more in. Worth it in my opinion as we needed to return to the Souks. *i noticed they didn’t give out water as mentioned but I did not approach them for it as well. Very comfortable buses. Timings are also good. Water bottles are not being given now. Easy to step in and step out for wherever we want to spend time. Perfect for one day City tour based on our interest. Very comfortable buses. Timings are also good. Water bottles are not being given now. Easy to step in and step out for wherever we want to spend time. Perfect for one day City tour based on our interest. 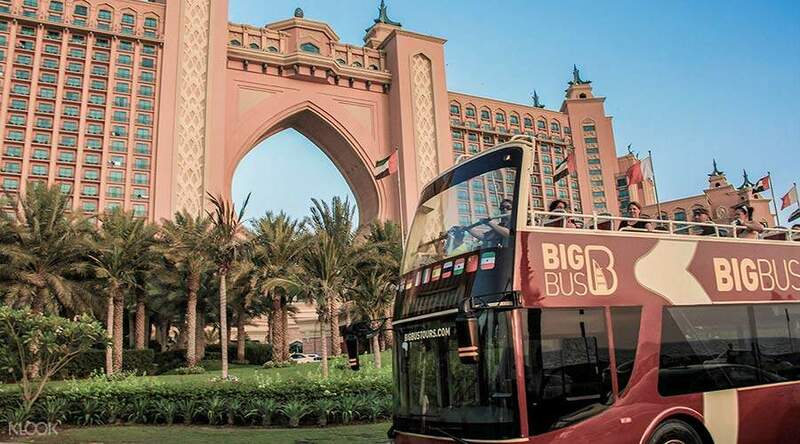 Since the train lines in Dubai are quite limited, Big Bus is a great way to explore the city. The freebies you get aside from the unlimited use of transportation is a great value for money. They have open and airconditioned space which is great when weather suddenly changes. Water is quite expensive in dubai but they are giving it in the bus for free. Wifi is free on board. It would be great though if they can add more trips at least until around 9pm especially in stops near the malls that are open until midnight. Since the train lines in Dubai are quite limited, Big Bus is a great way to explore the city. The freebies you get aside from the unlimited use of transportation is a great value for money. They have open and airconditioned space which is great when weather suddenly changes. Water is quite expensive in dubai but they are giving it in the bus for free. Wifi is free on board. It would be great though if they can add more trips at least until around 9pm especially in stops near the malls that are open until midnight. very helpful for first time tourists like us. english speaking tour guides and free wifi on the bus. highly recommended to all visiting dubai! will book big bus tour again in other countries we will be visiting! very helpful for first time tourists like us. english speaking tour guides and free wifi on the bus. highly recommended to all visiting dubai! will book big bus tour again in other countries we will be visiting! 2nd Time doing the big bus tour. Yes it is costly but the extras provided are great. Do go for the walking tours. Smal, personalised service with lots of info. 2nd Time doing the big bus tour. Yes it is costly but the extras provided are great. Do go for the walking tours. Smal, personalised service with lots of info. Amazing experience. I took the 2 day pass and joined all 3 routes. After I feel like i have experienced all of Dubai. Amazing experience. I took the 2 day pass and joined all 3 routes. After I feel like i have experienced all of Dubai.